Ogilvy, James A.. "Dictionary of Canadian Biography/Dictionnaire biographique du Canada". The Canadian Encyclopedia, 15 October 2014, Historica Canada. 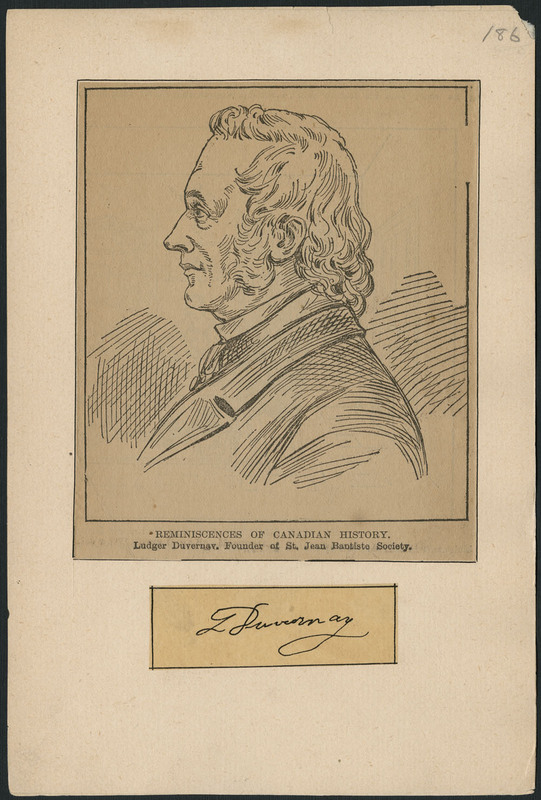 https://www.thecanadianencyclopedia.ca/en/article/dictionary-of-canadian-biographydictionnaire-biographique-du-canada. Accessed 22 April 2019. Dictionary of Canadian Biography/Dictionnaire biographique du Canada is a multivolume, comprehensive reference work on the lives of people who have contributed to Canada's history in every field of endeavour. Dictionary of Canadian Biography/Dictionnaire biographique du Canada is a multivolume, comprehensive reference work on the lives of people who have contributed to Canada's history in every field of endeavour. The volumes are arranged according to the death dates of subjects, so that each gives a full picture of a period in Canadian history. Contributions to the DCB/DBC, which are based on the best scholarship and documentary sources available, are written by a wide variety of specialists. They are painstakingly edited and checked for accuracy by teams of editors in Toronto and Québec who have worked under the direction of general editors George Brown (1959-63), David Hayne (1965-69), Francess HALPENNY (1969-89), Ramsay Cook (1989-2006) and John English (2006-), and, in Québec, directeurs générals adjoints Marcel Trudel (1961-65), André Vachon (1965-71), Jean Hamelin (1973-98) and Réal Belanger (1998-). The project began with the bequest of Toronto businessman James Nicholson, who left most of his estate to the University of Toronto for the preparation of a Canadian biographical reference work on the model of Britain's Dictionary of National Biography. Work began at the University of Toronto Press in 1959 on the English edition, and in 1961 a French edition was announced by Les Presses de l'université Laval. The first volume of 12 covering the period 1000-1900 was published in 1966 and the twelfth in 1990. Each volume contains 500-600 biographies. Since the mid-1960s the project has received additional funding from government sources; this practice was regularized through major operating grants from the CANADA COUNCIL and the SOCIAL SCIENCES AND HUMANITIES RESEARCH COUNCIL. Despite funding cuts during the 1990s, work proceeded on 4 volumes dedicated to the 20th century, 1 for each of the first 4 decades until 1940. Volume XIII, covering the first decade of the century, was published in 1994 followed by Volume XIV (1911-1920) in 1998 and Volume XV (1921-1930) in 2005. Volume XVI (1931-1940) is in progress. Dictionary of Canadian Biography OnlineA searchable online collection of approximately 8,500 detailed biographies of noteworthy Canadians. See also their related learning activities.